Every Third Wednesday Of The Month At 6:20 p.m. And The Following Thursday At 7:50 a.m. The Vermont Center for Ecostudies and VPR unite the sounds and science of nature in this monthly feature. The program is hosted by biologists Kent McFarland and Sara Zahendra, who share their knowledge, expertise and enthusiasm for wildlife education and conservation. Zahendra has a BS in Ecology, Evolution and Behavior. She pursues a number of interests including bats and bees. McFarland, a conservation biologist and photographer, is widely published in scientific journals, newspapers and magazines. Kent’s specialties include birds, insects and natural sounds. VPR’s Chief Production Engineer, Chris Albertine, is the audio engineer. VCE, a non-profit group of biologists, promotes wildlife conservation across the Americas with scientific research and citizen engagement. VCE scientists study and protect birds, insects, amphibians and other wildlife from Canada to South America. There is currently a study going on in the Green Mountain National Forest investigating the impact of wind turbines on black bear use of important foraging sites. These sites draw bears from 20-to-30 miles away when the beechnuts appear. The Vermont Fish and Wildlife Department is concerned that the turbines might be disturbing the bears' ability to get to their feeding habitats. The American Marten is about the size of a mink with a long body, short legs and a thick, furry coat. They can be brownish or reddish in color and have a buffy patch of fur around their throat. They are quite cute, with pronounced eyebrows that give them a quizzical look. Deforestation and hunting brought the marten close to local extinction by 1900. In the late 1980's, the marten was re-introduced into Vermont forests. Crows are the stuff of movies, mysteries and dark lore. They are also smart, gregarious birds with fascinating habits including a gathering called the winter roost when thousands of crows group together late in the day. Even in the winter time, beaver ponds are active habitats. The harvested trees and brush attract other wildlife like deer and turkey to feed. The lodges themselves provide warmth for the beavers and other rodents, such as mice and muskrats. The North American beaver has seen a resurgence in the last 100 years after being trapped to near-extinction by European settlers. In Spring, Vermont is awash with migrant birds; sadly, we don't see many species in the Winter. However, there are occasional irruption migrations as birds come from the north in search of shriveled fruit and seeds. Many of these winter arrivals are various species of finches including the Pine Grosbeak. The Dead Creek Wildlife Management Area is a destination spot for bird watchers who come to see the thousands of snow geese that flock there. There is a story behind roadkill. Millions of accidents every year are caused by collisions with wildlife. How can we manage roadways so that they are safer for everyone, vehicles and animals? Many people don't think about insects, like dragonflies, as migratory. Most of Vermont's 101 dragonfly species stay through the winter but the Wandering Glider leaves with the changing of the season. This species can be found on every continent, except Antartica. In England they are called "Wandering Globetrotters." You can call them clams or mussels, the names are interchangable, but they should also be called endangered. Here in Vermont there are eighteen separate species of freshwater mussels and of those, ten are listed as threatened or endangered while several others are considered rare. Which bird's song is a burst of tweets and twitters that sound like R2D2 from "Star Wars" movie fame? It is the bobolink and after wintering in Argentina, these small, songful birds have returned to nest in Vermont's high grasses. Biologists Kent McFarland and Sara Zahendra head out to West Haven, Vermont at dusk to brave a cloud of mosquitoes in search of the song of the threatened whip-poor-will. Outdoor Radio usually takes us to a mountain top, pond or forest to get close to wildlife. But this month, biologists Sara Zahendra and Kent McFarland are on top of an office building in Montpelier. For the past several years, National Life employees have been able to watch turkey vultures out their windows. The birds are drawn to the rooftop for warmth and show off their huge wingspan soaring around the building. We learn how to identify turkey vultures from other big birds and how it is that they can eat roadkill and not get sick. We are awed by the size, beauty and power of the bald eagle but Ben Franklin described it as a bird of "bad moral character. He doesn't get his living honestly and besides, he is a rank coward." Sarah Zahendra and Kent McFarland from the Vermont Center for Ecostudies recently trekked through deep snow near Maidstone Lake in Vermont's Northeast Kingdom to find out more about Alces americanus, or moose, in our region. Joining them on the journey was Jake Debow, a researcher working on an extensive cooperative project with Vermont Fish And Wildlife and the University of Vermont. As cold as it might get in Vermont, it's warm here to the snowy owl. They spend their summers in the Arctic Tundra. These are large owls, with a wingspan of five feet and striking yellow eyes. Kent McFarland and Sara Zahendra, of the Vermont Center For Ecostudies, went in search of a snowy owl at the Dead Creek Wildlife Management Area in Addison. We learn why it's a good year for spotting them in Vermont and what to do if you see one. Outdoor Radio: Don't Call Them Sea Gulls! Gulls are found on every continent on the planet. They're smart, resourceful, and graceful - but don't call them sea gulls! There are inland species, even some that live in the desert. Biologists Kent McFarland and Sara Zahendra of the Vermont Center For Ecostudies, are joined by birder, Bryan Pfeiffer at Grow Compost in Waterbury. Hundreds of gulls (and other birds) hang out amid this huge expanse of compost enjoying an endless feast. Biologists Kent McFarland and Sara Zahendra traveled by snowmobile into the wilderness of the Northeast Kingdom in hopes of spotting a Canada lynx or lynx tracks. 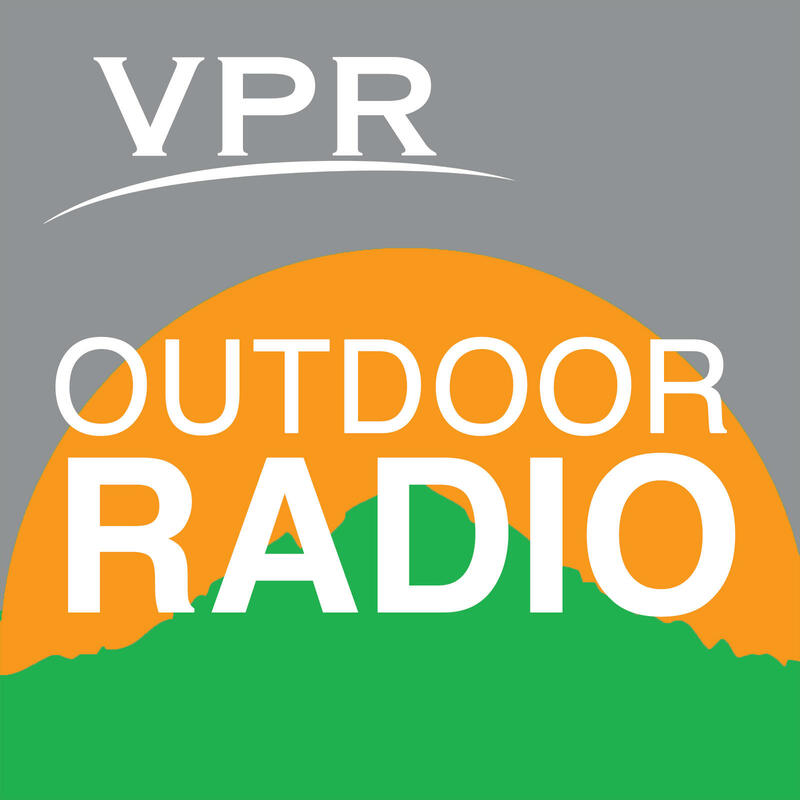 This month on Outdoor Radio, biologists Kent McFarland and Sara Zahendra of the Vermont Center for Ecostudies head out into the woods to track the Fisher. Sometimes called the Fisher Cat, it's not a cat at all. Biologist Steve Faccio, who specializes in Fishers, joins McFarland and Zahendra to dispel some myths about Fishers and offer tips on how to track them. In this episode of Outdoor Radio, biologists Kent McFarland and Sara Zahendra are way up in the Northeast Kingdom at Moose Bog in Ferdinand. With a pointed snout, knobby protrusions, and a flat, leathery shell, the Spiny Softshell Turtle is certainly one of Vermont's odder-looking reptiles. It is also listed as threatened in our state. Steve Parren of the Vermont Fish And Wildlife Department joins Sara Zahendra and Kent McFarland to talk about the Spiny Softshell's biology, habitat and some of the threats faced by Vermont's only aquatic turtle.